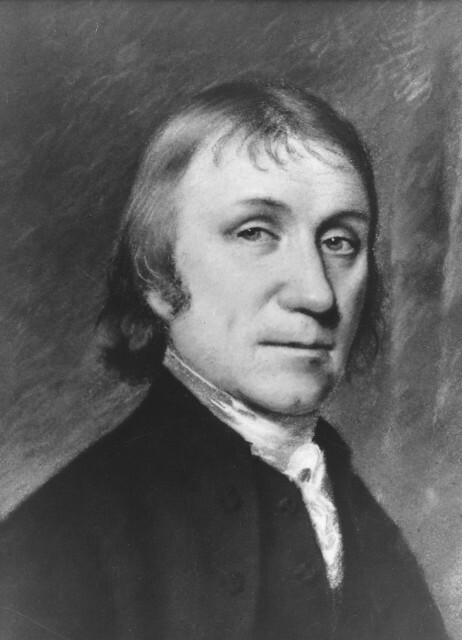 Joseph Priestley was recorded as the first inventor of Soda, was born in an area near Leeds, England on March 13, 1733, Priestley never actually studied science formally. However, Priestley is a person who is always persistent in learning something. A tolerant and liberal attitude became one of the capital of his success. age 28 years, Priestley who was interested in languages, generating article titled The Rudiments of English Grammar (The basics of English grammar). Priestley was writing a description of English grammar, as learned today. His interest in science came from his acquaintance with Benjamin Franklin a year after Priestley was awarded a doctorate in Law for his article entitled Chart of Biography in 1765. Benjamin Franklin, who was indeed a scientist who studied electricity, Priestley has aroused interest in science. Priestley dynamic personality is proven again. Year was his friendship with Franklin running and it is a friendship that is not in vain because Priestley again produce the paper. This time he published The History of Electricity. In addition to producing the paper, Priestley also found that carbon is a good conductor of electricity. Starting from the discovery of soda brewery is located across from his house, Priestley was intrigued by the air at the surface that feels other fermented grain. He also studied the properties of air that can douse the flames from the combustion of wood chip. Priestley called the gas with the name 'gas must' (fixed gas). Encouraged great curiosity, Priestley produce their own 'gas must' is in his house, and then dissolving it in water to obtain water that tastes sharp. That is carbonated water, which is now very popular as soft drinks! He enthusiastically offered water as a result of these experiments fresh drinks to his friends. On June 23, 1762, Priestley married Mary Wilkinson of Wrexham. Only five years the couple lived in Wrexham. On September 1767 they had to return to Leeds because of the financial condition and the condition of her health. In Leeds, Priestley fecundity in writing continues to flow. He published two books of political, Essay on the First Principles of Government in 1768 and the Present State of Liberty in Great Britain and her Colonies in 1769. In the same year, Dr. Priestley also wrote a book. Blackstone's Commentaries, a book containing his defense of the constitutional rights of defectors against William Blackstone, the ruler at that time. In 1780 he headed Birmingham and was appointed junior minister. Priestley's name more famous after becoming a member of the Lunar Society. However, his admiration for the French Revolution made him driven out of town. To commemorate his services, the community set up Priestley statue, of which the monument called Moonstones and a more traditional statue in Chamberlain Square in the center of town. The most recent monument is a monument made of marble that originally made by A. W. Williamson in 1874. Then, in 1951 the entire marble coated with bronze.